*Actual On Road Price of Mahindra Mojo at the dealership may vary. Mahindra Mojo UT300 and XT300 have been launched in India. The new Mojo UT300 has been priced at Rs. 1.49 lakh (ex-showroom, Delhi), whereas the XT300 costs Rs. 1.74 lakh (Ex-showroom, Delhi). The Mahindra Mojo UT 300 is based on the original Mojo, however, it's more affordable than the outgoing model. UT badging, according to Mahindra, stands for 'Universal Tourer'; while the standard Mojo has been rebranded as the Mojo XT 300 or Xtreme Tourer 300. Mahindra is offering a ? 10,000 introductory benefit on the Mojo UT 300, which is valid only till March 2018. The Mahindra Mojo UT 300 shares its underpinnings with the XT 300, save a few features which are absent on the UT300. It is powered by the same 295 cc liquid-cooled, 4-valve, single-cylinder engine but gets a carburettor fuel system instead of fuel injection. The UT300 engine delivers 23 bhp and 25.2 Nm of peak torque. The engine is paired to a 6-speed gearbox. In comparison, the XT 300 with FI makes 27 bhp and peak torque of 30 Nm. Among the other features, the new Mojo UT300 comes with 320 mm petal front disc brake and a 240 mm unit at the rear, 17-inch tubeless tyres from MRF and a gas charged monoshock rear suspension. The front unit now gets telescopic forks instead of a USD setup. On the other hand, with a differnce in pirce of Rs. 20,000, the Mojo XT300 gets all the bells and whistles the bike is known for, including USD forks, electronic fuel injection system and Pirelli Diable Rosso II tyres. ABS is still a miss on both versions. 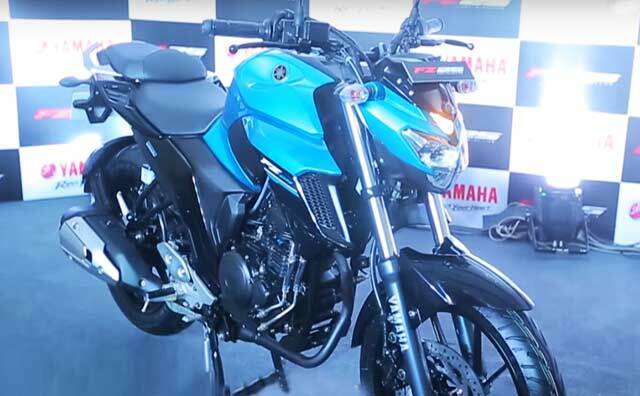 The Mahindra Mojo XT300 gets a new colour scheme of blue and silver called Ocean Blue. The price remains the same at Rs. 1.79 lakh. Here is everything you need to know about the newly launched Mahindra Mojo UT300. Dont BUY- I purchesed mahindra centuro black digital meter on june 2013, bike have very huge problems-1.Pickup, engine gear, 02.Milage/Avrage 3.genuine parts break 4.water dripping in petrol tank 5.oil seal break.6 sounds of parts of body .my vechile is regularly servised with free and paid both.but then also i am facing problems. Service center at nagpur Nagia motors make estimate of 4150 rs.and upto now i invest in my two wheeler as amount of its prize and there is noservice of castmer.Kindly take quick action.otherwise i fill complain to consumer court and police station.and give the news to newspaper that all two wheeler of mahindra are failure and all have problem so dont purchesed it... IF YOU STILL BELIEVE IN MAHINDRA BIKES BUY AND EXPERIENCE WASTAGE OF 55000.. PLEASE BUY ANY TWO WHEELER EXCEPT MAHENDRA FAILURE BIKES.